Aurora Sharrard is the University of Pittsburgh's first director of sustainability. A rain garden sits on the lawn near the Cathedral of Learning in Oakland. These reusable tote bags are part of Pitt's BYO(bag) program that has cut the number of plastic bags at campus stores by 98 percent. How do you create a sustainability plan for a building that wasn't designed with the environment in mind? This challenge isn't unique to the University of Pittsburgh campus, but it's one they hope to tackle with a sustainability plan guided by the former director of the Green Building Alliance, Aurora Sharrard. Sharrard, now the University of Pittsburgh’s first director of sustainability, is in charge of seeing through 61 goals across 15 impact areas aimed at making the university more environmentally friendly. A woman learns self-defense techniques during a SETpoint training session. The Pitt plan defines sustainability as a balance between equity, environment and economics so that current and future generations can thrive. But, according to Sharrard, accomplishing this goal requires buy-in from the university community, its supporters and Pittsburgh at large. 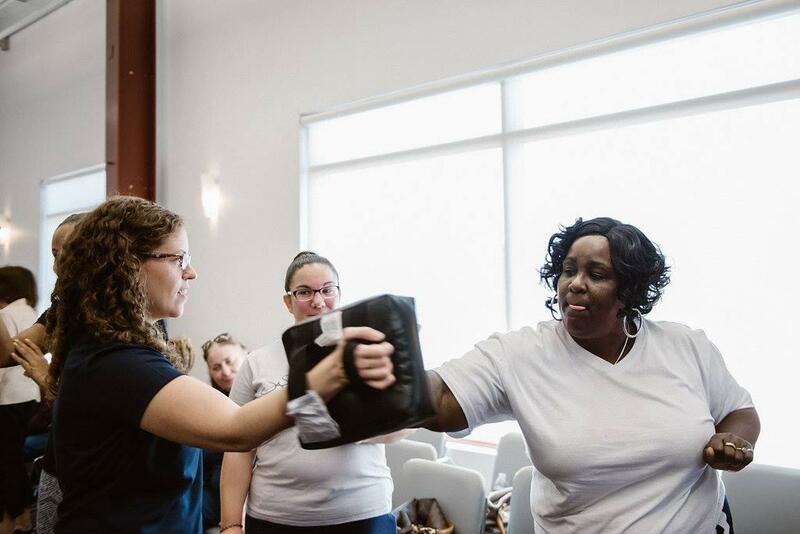 Later in the program, SETpoint is a Pittsburgh-based group that offers specialized self-defense training for those who experience the threat of gender-based violence. For much of the 20th century, the Delaware River was full of debris, waste and high levels of bacteria that left the river smelly and inhospitable to fish and other wildlife. WHYY’s Dana Bate reports on how the Clean Water Act helped revive it. Sachin Thiagarajan, junior at Pittsburgh Sci-Tech.